Christ the King has many different formation opportunities that you can get involved in to deepen your family's knowledge and relationship with Jesus. 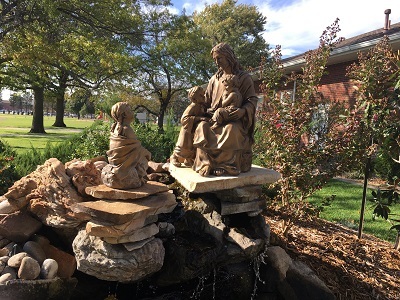 Our School, offers a Pre-K through 8th grade education with no tuition for Catholic families living the Stewardship way of life. It was recently awarded "Banner School for 2016-2017" by the Catholic Diocese of Wichita. For children grades Kindergarten through 8th grade, not attending a Catholic school, PSR/CCD is offered on Sunday mornings. For those who would like to learn about the Catholic faith and/or wish to convert to Catholicism, we have RCIA classes beginning in September each year. We have several Bible studies that are available at different times throughout the year. Finally, Christ the King has a subscription to Formed.org which has many movies and programs your family can watch at home to learn more about your faith.